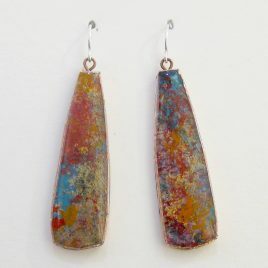 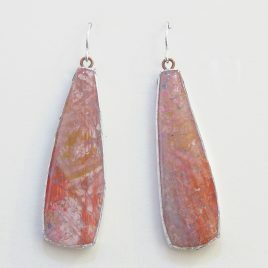 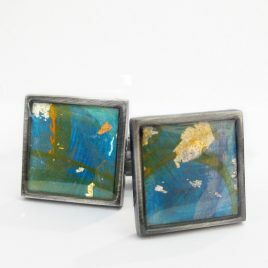 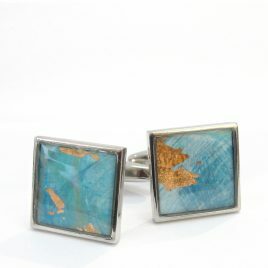 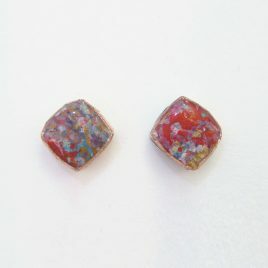 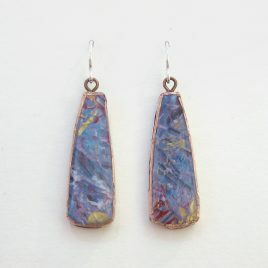 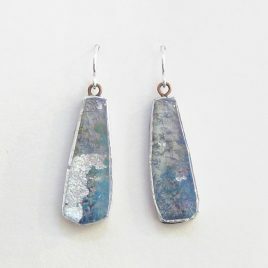 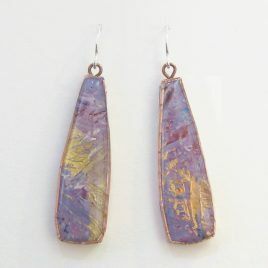 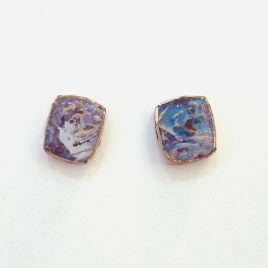 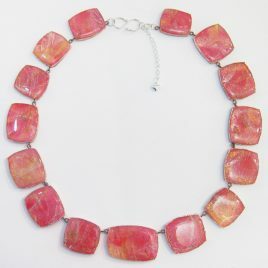 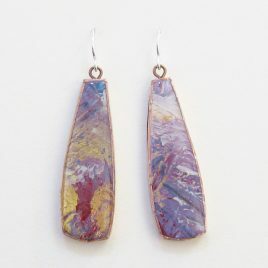 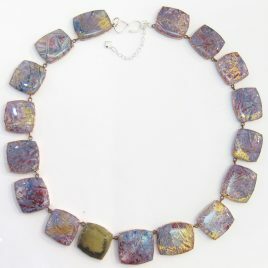 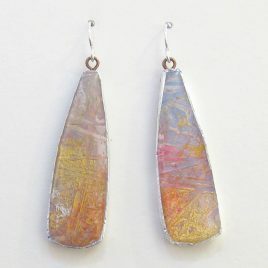 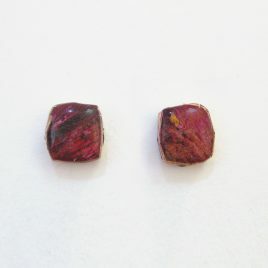 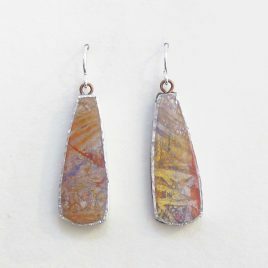 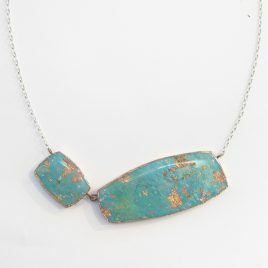 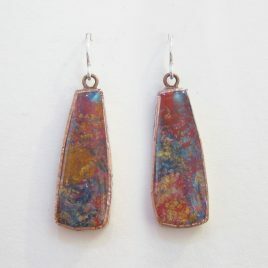 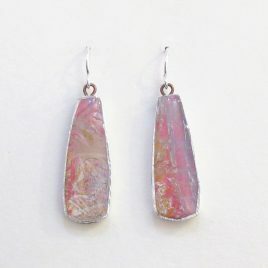 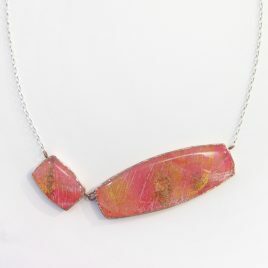 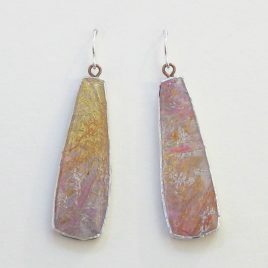 Dee works very spontaneously as her jewellery stems from her original abstract paintings using acrylics. 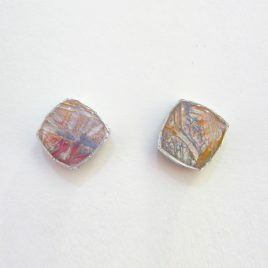 Multiple mediums are added including paper, card, resin, acrylics, gold, silver and copper leaf, sterling silver and pewter. 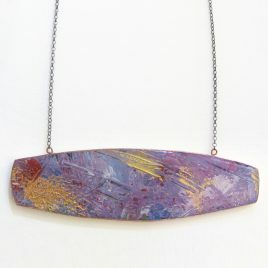 Organic shapes are cut from the paintings which are then mounted and covered in layers of resin. 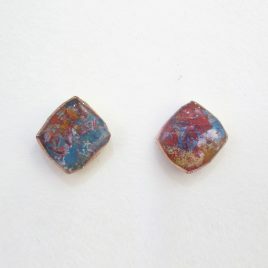 The resin brings to life the textures and colours beneath it by magnifying and enriching the surface. 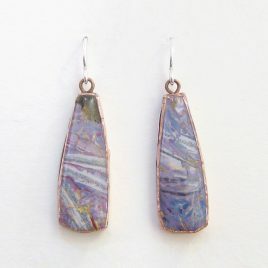 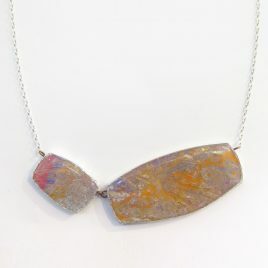 Dee enjoys mixing odd, uneven shapes that ultimately create a balanced look and endeavours to emulate real and semi-precious gemstones by layering colour with texture. 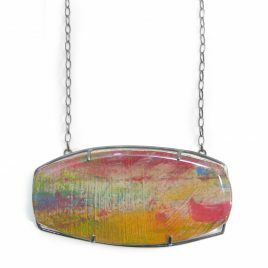 The lightness of the materials used allows large statement pieces of jewellery to be created achieving greater visual impact. 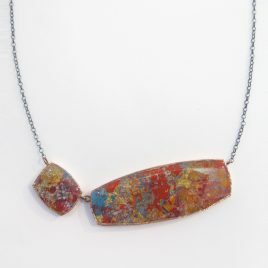 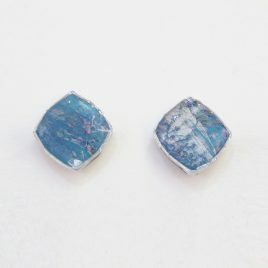 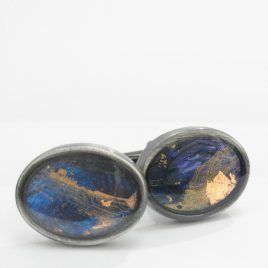 “I have been working in the field of mixed media jewellery for six years but have spent over 30 years working in the creative industries both as a designer maker and contemporary craft retailer. 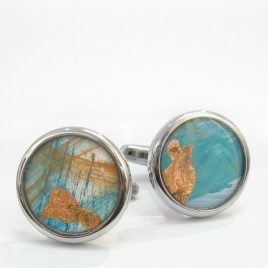 I work from my studio based at home in Leicester. 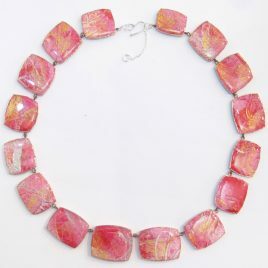 I create individual one-off pieces of jewellery; each piece stems from one of my large paintings in acrylics. 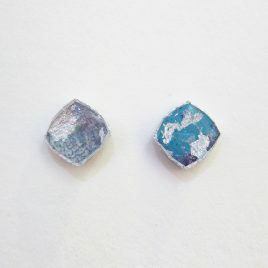 Collections are inspired by texture, colour and surface patterns which are brought to life when cut and assembled into individual jewellery ranges. 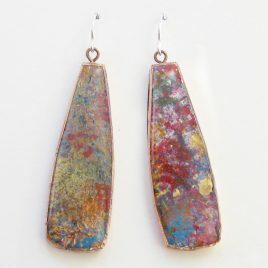 Materials used include card, acrylic paints, gold, silver and copper leaf, sterling silver, rose gold vermeil, copper, pewter and resin. 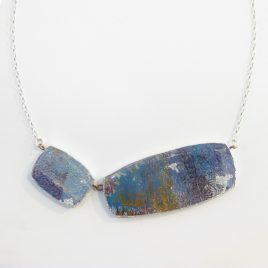 Dee’s work is sold widely throughout the UK in independent galleries and museums. 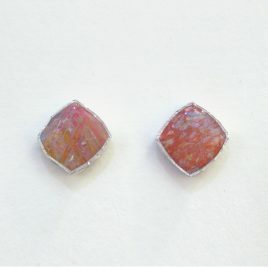 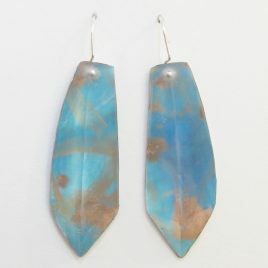 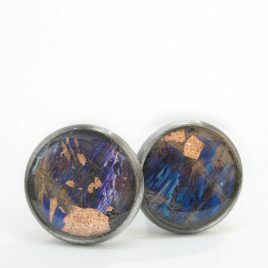 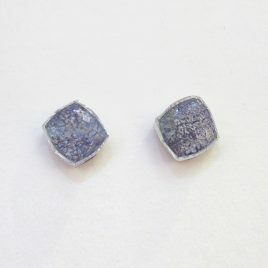 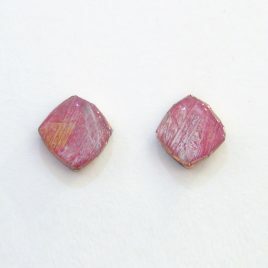 View cart “DBE-41 Frosted Faceted Resin Drop Earrings – Dee Barnes” has been added to your cart.